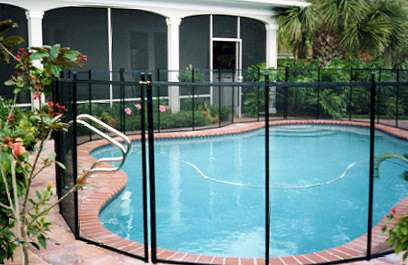 Life Saver Child Safety Fencing is a removable mesh pool fence with aluminum poles designed specifically to provide safe, protective barrier fencing around residential swimming pools for toddlers and young children as well as handicapped and the elderly providing a safe yard, pool and patio. 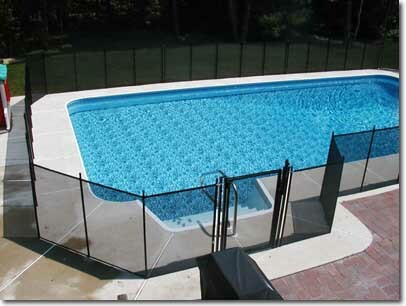 Of course, pool fences are meant to supplement, not replace the most important layer of protection. Nothing is more essential than the supervision of a guardian, sitter or adult. Installation of removable, childproof tension based mesh, pool, baby fencing has been proven as one of the most reliable ways to prevent accidents and protect children. For over thirty years in tens of thousands of backyards with pools throughout New Jersey and New York, it has proven to be among the safest, most secure and convenient layers of protection against the dangers swimming pools can pose to a toddler or young children. 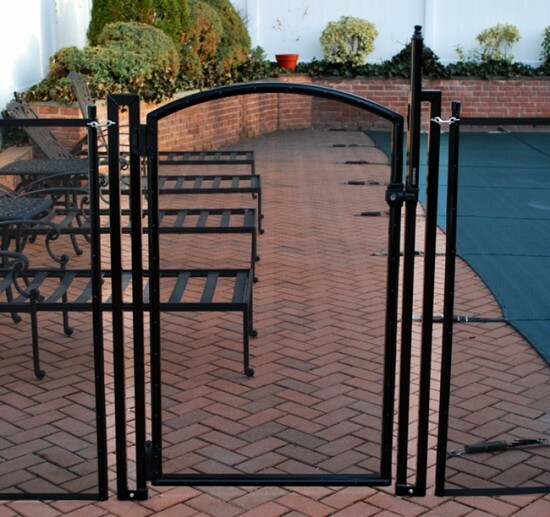 And conveniently, it can serve as a temporary or permanent fence with which to enclose the pool and prevent access and then easily remove when necessary. All across New York and New Jersey our experienced installers are providing peace of mind to pool owners with children or grandchildren and helping them to isolate the pool and guard against drowning. 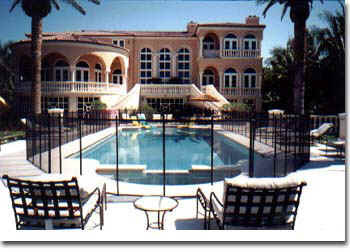 Life Saver Pool Fences and gates are of the finest quality and with every install we offer a lifetime warranty. Our company prides itself on it's professional reputation. 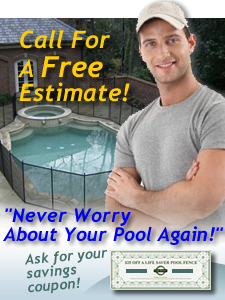 Call for a free estimate in NJ and NY. We are local and would happy to come to your home and display samples of our safety fencing enclosure, pictures of previously installed jobs and consult with and advise you on how best to keep your kids safe and protected by preventing unauthorized entry into the pool area. 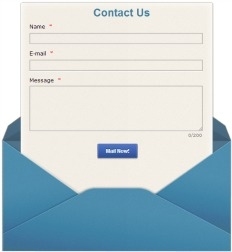 Call for a free in home consultation and estimate. New Jersey: Monmouth, Middlesex, Mercer, Somerset, Union, Hunterdon, Ocean Counties. Welcome to Life Saver Child Safety Pool Fencing of New York, New Jersey and the surrounding Tri-State area. A factory trained & authorized safety poolfence dealer- installer for Life Saver Poolfence serving all of New York / New Jersey. We're the poolfencing professionals. Colors: Black, White, Green, Tan, and Brown, 96% visibility.